Dr Andrew McDonald is a Fellow of the Australasian College of Sports & Exercise Physicians and has over 20 years of experience in private sports medicine. Dr McDonald has had extensive experience with professional sporting teams over this time as Chief Medical Officer to the South Sydney Rabbitohs in the NRL (1996 to present), Club Medical Officer to Sydney FC in the A-League (2005-2013), and Assistant Club Medical Officer at the Melbourne Football Club in the AFL (2001). Dr McDonald has also been involved in providing sports medicine services to multiple sporting events such as the Sydney Olympic Games, Sydney Paralympic Games, and IAAF track and field events. Dr McDonald has extensive experience in work related injury management, having been an on-site medical consultant for both Qantas and Woolworths, and having completed NSW Work Cover training in the evaluation of permanent impairment. 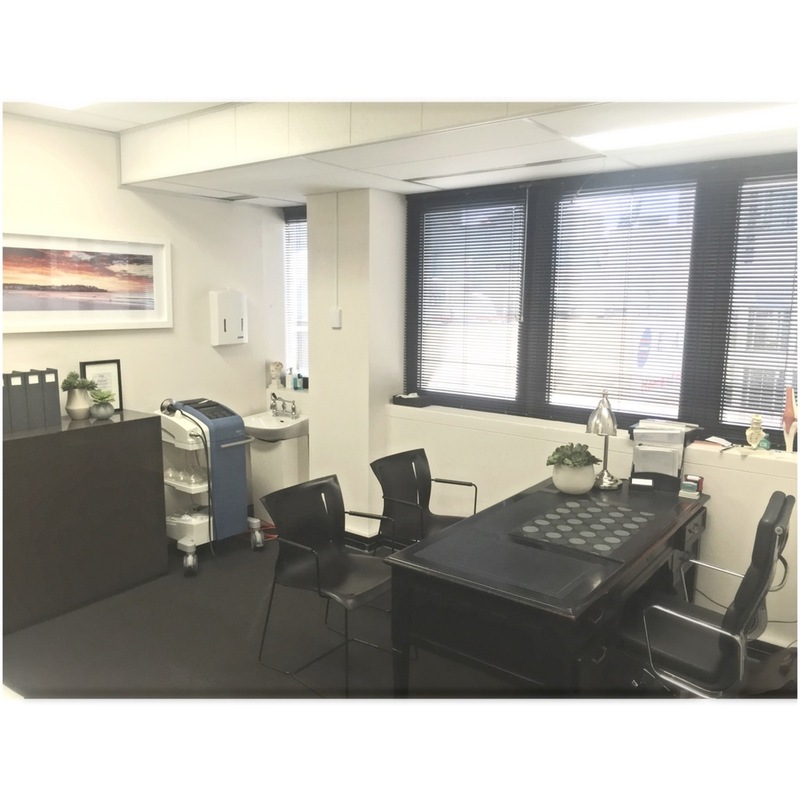 Dr McDonald is experienced in the use of extracorporeal shockwave therapy, ultrasound guided cortisone injections, platelet rich plasma (PRP) injections, and autologous conditioned serum (Orthokine) injections. While enjoying working with professional athletes, Dr McDonald derives great satisfaction from helping the general sporting and recreational population recover from injury and return to their favourite activities. He enjoys playing tennis, golf , mountain biking and gym training. Diane is an APA Sports Titled Physiotherapist and is one of the practice principals at Eastside Physiotherapy. Diane has over 30 years experience in all aspects of musculoskeletal physiotherapy and rehabilitation. Diane is the physiotherapist for Randwick Rugby Union Football Club, a position she has held for many years. She is the only female to be awarded Life Membership of Randwick Rugby Union Football Club. Diane also consults at Eastside Physiotherapy located in Randwick. Diane has a Bachelor of Science (Anatomy) from UNSW and a Post Graduate Diploma of Physiotherapy from Cumberland College of Health Sciences. NSW Institute of Sport service provider. Practice principal of Eastside Physiotherapy and Eastern Suburbs Sports Medicine Centre. Operative and non operative of management of rotator cuff injury and shoulder instability. Basketball coaching of junior women's teams. Team physiotherapist for the Sydney Rugby Union Representative team in 2012. Previous physiotherapist with Easts Rugby League, Sydney Supersonics and Comets Basketball. Alan is a highly experienced APA Sports Physiotherapist with over 25 years experience in private practice and all levels of sports and age groups from the professional athlete to the junior participant. This has included a 10 year stint with Australian Rugby Union teams including the 7’s and Australia A. He has extensive experience with post operative rehabilitation including ACL reconstruction, hip and knee arthroscopy, rotator cuff repair, acromioplasty / sub acromial decompression and shoulder stabilisation. Alan has excellent manual and exercise prescription skills and is accredited in dry needling. Alan also consults at Eastside Physiotherapy located in Randwick. Shoulder instability in contact sports. Osteoarthritis solutions in the active person. Adolescent overuse injuries. (Severs and Osgood Schlatters). Lumbar spine stress fracture rehabilitation. Louisa’s areas of interest include physiotherapy for dancers and performers, as well as a wide range of sports. She recently completed her Masters of Sports Physiotherapy through La Trobe University. She is able to provide injury assessment with attention to dance technique, as well as pre-pointe screening assessments, dance injury screening and rehabilitation tailored to return the dancer to full training as soon as possible. Louisa has worked with Randwick Rugby Union for 6 years and has toured nationally and internationally with men’s and women’s Rugby 7s teams. Louisa was most recently the company physiotherapist for Matilda the Musical during the Sydney and Melbourne seasons. Hip and Groin injury management; including sports-related injuries, long-standing pain and the hypermobile athlete. Member of International Association of Dance Medicine and Science, Australian Physiotherapy Association and Sports Physiotherapy Australia. Alicia Quirk (OAM) graduated from Charles Sturt University in 2016 with a Bachelor of Physiotherapy. Alicia is also a professionally contracted Australian Women’s 7’s Player competing on the domestic and international 7’s circuit. She is a 2016 Olympic Gold Medalist and recently competed at the Commonwealth Games bringing home a silver medal. She is aspiring to compete at a second Olympics in Tokyo in 2020. She joins the team at ESSMC to pursue her physiotherapy career whilst continuing her professional Australian Rugby 7’s commitments. Alicia brings to her injury management and rehabilitation a unique perspective of a successful professional athlete who has competed on the World Sevens stage, Olympic and Commonwealth Games. Dan is currently the rehabilitation physiotherapist for the Australian Women’s Sevens rugby team. Originally from Canberra, He is one of two physiotherapists for the squad of players competing in the World Sevens Series and working towards the Tokyo 2020 Olympics. Dan has recently returned to Australia from a two year stint in the UK working for professional Rugby teams; Leicester Tigers and the Cornish Pirates. Prior to his time in the UK, Dan worked in Canberra with the ACT Brumbies as well as in private practice. Dan has a keen interest in shoulder, hamstring and knee injuries and is currently working towards completing his Masters of Sports Physiotherapy at La Trobe University. Dan is committed to providing his patients with a clear understanding of their condition, along with an ongoing rehabilitation plan. Dr. Daniel Biggs’s major focus is on arthroscopic shoulder and knee reconstructions. He is involved in clinical based research in these areas. His publications in the Orthopaedic literature reflect his special interest in minimally invasive surgeries of the shoulder and knee. He is also experienced in joint replacement surgery of the shoulder and knee. Dr. Biggs finished his medical degree at the University of Sydney in 1982. He completed the orthopaedic training scheme in Sydney in 1992. He continued his training with fellowships in arthroscopic surgery and sports medicine in Perth, Australia and in Toronto, Canada. Tim Heath is a consultant hand surgeon at Eastern Suburbs Sports Medicine Centre and the principal surgeon at Southern Hand Surgery. He is a specialist with broad expertise in hand and wrist surgery: carpal tunnel syndrome, tendonitis and trigger finger, Dupuytren's disease, tumours and ganglions, microsurgery, fractures, arthritis, and wrist arthroscopy. Tim graduated from Medicine at Sydney University in 1988. He initially trained as an Infectious Diseases Physician, and spent time as an Infectious Diseases registrar in Darwin, where treatment of leprosy patients reignited a prior interest in hand surgery. He started his general surgical career in 1998, and subsequently specialised in Plastic Surgery. During surgical training his interest in hand surgery steadily strengthened, and after successfully completing his Fellowship in Plastic Surgery he undertook post-Fellowship training in Hand Surgery at Sydney Hospital. In 2006 he was appointed as a Hand Surgery VMO at both Sydney and Liverpool Hospitals. Tim has been the Director of the Sydney Hospital Hand Surgery Unit (2010-2015), where he continues to work, and to teach Plastic Surgery and Orthopaedic surgical trainees. He is a senior Lecturer at the University of Sydney, teaching microsurgery to students in the Master of Surgery Programme. In 2013 and 2014 he travelled to Hue Central Hospital, Vietnam, to perform surgery and to teach local surgeons aspects of Hand Surgery. He is a Fellow of the Royal Australasian College of Surgeons, a Member of the Australian Hand Surgery Society, and a Member of the New South Wales Hand Surgery Association. Dr Jacob Kaplan is a specialist orthopaedic surgeon. He is focused on the diagnosis and surgical treatment of disorders of the Knee, Foot & Ankle. He completed his orthopaedic training in NSW and then underwent subspecialty foot and ankle surgery training in Toronto, Canada. He performs all types of Knee, Foot & Ankle surgery. Along with traditional approaches, minimally invasive surgery is now an option for many problems. Minimally invasive surgery can now be performed for Bunions, Hallux Valgus, the Achilles tendon and other tendons. Ankle replacement is now a reasonable option for ankle arthritis. Dr Kaplan is particularly interested in the management of Sporting Injuries of the Knee and Ankle, Knee & Ankle Replacement, Minimally Invasive Foot Deformity Correction, Tendon Problems, the Management of Deformity, Arthritis and Fractures. Dr Kaplan is an active member of the Australian Orthopaedic Association and the Australian Orthopaedic Foot and Ankle Society. In addition he is active in the Canadian and American foot and ankle surgery societies. He operates at East Sydney Private Hospital, St Luke’s Private Hospital, St George Private Hospital & Kareena Private Hospital. Dr Jacob Kaplan is involved in international research in regard to the developing area of ankle replacement. Dr Kaplan is an active member of orthopaedic outreach, providing orthopaedic care in the South Pacific. Consulting at ESSMC will begin in late November 2017. Sarah Dacres-Mannings BSc (Physiology), Grad Dip Nut & Diet, ISAK Level 3, APD MSDA. Dynamic Dietitians was founded by Sarah. She started her career working at The Children’s Hospital before expanding into sport & corporate health and nutrition. Sarah is passionate about women’s health, insulin resistance, PCOS, irritable bowel syndrome, FODMAPS, teen & kids nutrition, elite sport, corporate health and nutrition. Sarah is an Advanced Sports Dietitian who successfully advises sporting clubs, professional teams, school sporting teams & athletes on general & sports nutrition. She has held positions with the Australian Institute of Sport, NSW Institute of Sport, NSW Academy of Sport, Australian & NSW Rugby Union, NRL teams (Sydney Roosters, St George Illawarra) Sydney Kings Basketball, Northern Spirit Soccer Club, Bangarra Dance Theatre, Sydney Dance Company and Australian Defence force. She lectures for the NSW University masters course for Sports Doctors and the Australian College of Sports Physicians. Sarah has been a Sports Nutrition expert for the Dietitians Association of Australia for the last 12 years. She is a media spokesperson for Sports Dietitians Australia (SDA), also a former NSW Chairperson and national director of SDA. Sarah has been awarded Fellow (Education) status with Sports Dietitians Australia (this is the highest Sports Dietitian level & the first and only NSW Fellow in Education) and she has a Level 3 (Instructor) in body composition measurement (anthropometry). In the past, Sarah competed at elite level in numerous sports including light weight rowing and netball, she wongold at a number of national masters rowing titles and a silver from World Masters Rowing Championships, however these days she enjoys ocean swimming and tennis. Stem Cell and Musculoskeletal Rehabilitation. Workers Compensation (I Care) and Motor Vehicle Accident Rehabilitation. Pre-Operative Strength & Conditioning and Post-Operative Rehabilitation. Bondi Junction's Sportsmed Clinic Podiatrist, Gabrielle Inman, specializes in lower limb biomechanics and pathology. She graduated at the University of Newcastle with a Bachelor of Podiatry. Gabrielle is also the owner of her own podiatry clinic and is a trained registered nurse practicing at St Vincent's and the Mater Hospitals. Gabrielle has a passion for helping people to achieve active and healthy lifestyles. She understands the importance of training to achieve competition goals, whether at an elite or recreational level. Appropriate footwear is often misunderstood, and wrong choices can cause lower limb pathologies. Gabrielle specializes in footwear and biomechanical assessments, leading to improved biomechanical function. Gabrielle understands the causes and diagnosis of foot pathology and works with her patients to develop customized treatment plans for best patient outcomes. Being a mother of two active young boys who participate in sport Gabrielle has a special interest pediatric biomechanics.